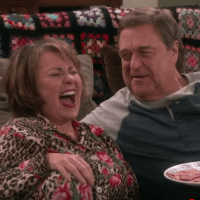 ‘Roseanne’ BLOWS UP In The Ratings. Trump Supporters Cheer. But There’s One Really Big Problem For Conservatives. (Ben Shapiro – Dailywire) On Tuesday night, Roseanne’s reboot premiered — and it blew up in the ratings. Fully 18.2 million Americans between the ages of 18-49 watched the show. It received a 5.1 rating. It was the best Tuesday night premier for ABC since 2006. Americans tuned in in shocking numbers. Many conservatives are overjoyed at this — they see it as a cultural moment of great import, because Roseanne’s character is a Trump supporter. She shellacks Hillary on the show. Her sister, a purported Hillary supporter, couldn’t even bring herself to vote Hillary — she voted for Jill Stein.